The Hero I-League has so far witnessed a total of 116 goals. We bring to you the list of each of the goals scored till the Round 10 of Hero I-League. Note: Apart from the above goals, there are four own goals scored. 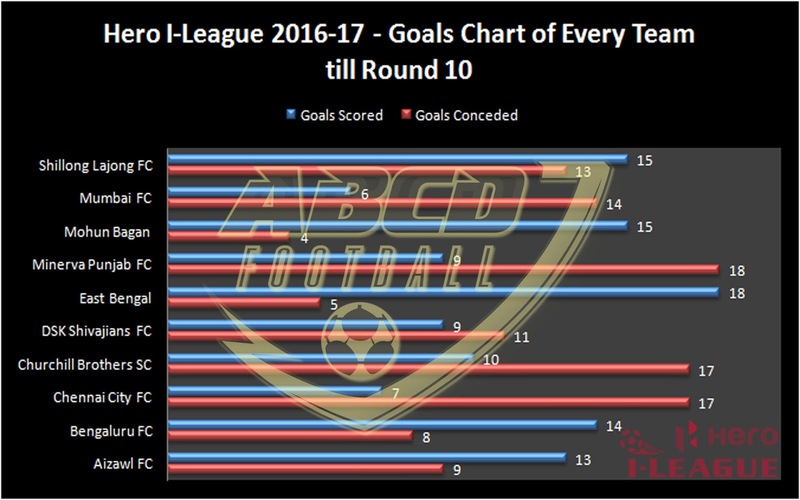 Also, we have provided a small split of how the teams have contributed to the above goals with the following chart.